What is Frosted Vinyl Used For? Add style to your office, restaurant, salon, bar and much more with Frosted Glass Window Films. 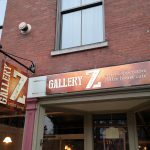 Frosted glass vinyl, available in a range of colors and finishes, is great for creating beautiful window graphics, window lettering and privacy. It’s also great for reducing UV exposure to interiors where the sun is an issue. Frosted Vinyl Films are a great way to add attractive, long-lasting branding to your business. Great for both interior and exterior use, Frosted Vinyl adds flair to your windows and can be cut into shapes, logos, or intricate designs. 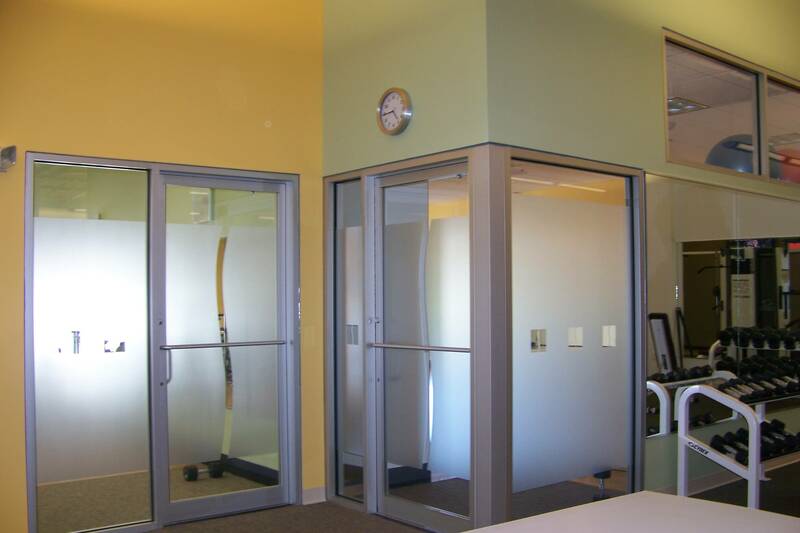 For creating privacy in office environments where employees are in glass offices or conference rooms frosted glass vinyl is a great option. We’ve frosted private workout areas, spinning rooms, and classrooms at a number of One 2 One Bodyscapes gyms to allow clients to feel a bit more privacy. Utilizing their logo adds a real touch of class and furthers their branding effort at the same time. At OpenText in Burlington, MA, we frosted the window panels of all of their office sidelights with a graphic that is used throughout their branding. Again this makes the office look very professional, allowed the employees some additional privacy and carries their branding throughout the office. At the University of MA Lowell, we frosted a number of office windows facing into the library to allow privacy as the office overlooked the library and the employees felt over exposed. This gave them the privacy they needed without loosing any of the natural light coming into the room. 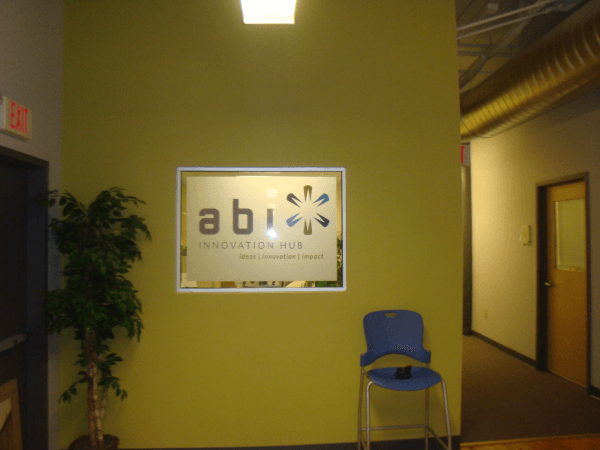 In the photo below, you will see how we used ABI’s logo to create a great visual while providing their accounting office with some privacy. This is the first thing you see as you walk into their offices. 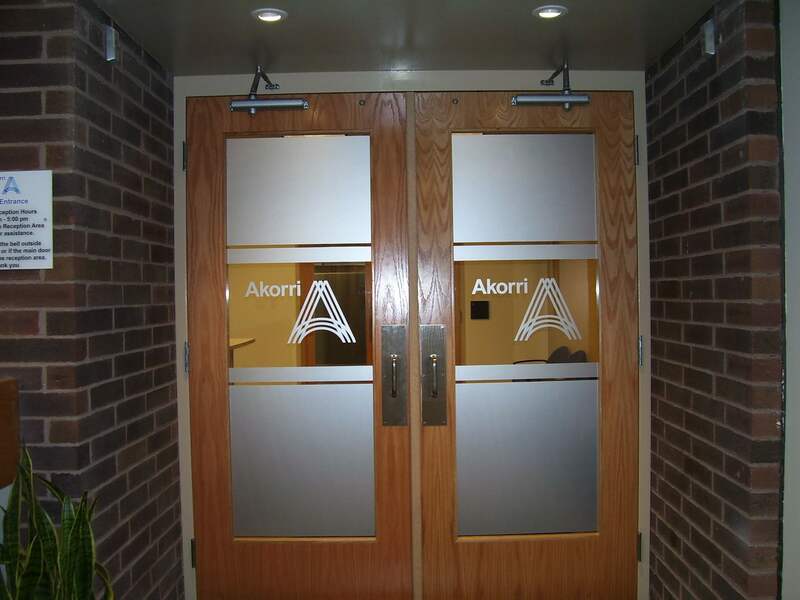 We use Oracal Frosted Glass vinyl which is available in several colors including pink, blue, gold, silver and mint. Of course the silver looks closest to real etched glass is the most popular. We use other brands as well and there are some beautiful 3M products that look line linen, rice paper and much more. Our team has installed hundreds of windows with these products so we are very experienced at getting a perfect finish with no bubbles, creases or irregularities. These products are also removable where real etching is not so it’s perfect for clients leasing properties that don’t want to make permanent costly changes to their windows. 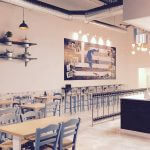 We work with building owners, businesses of all types, schools, hospitals, architects and more to help create a beautiful interior and exterior graphics. 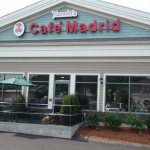 Give us a call today at 978-250-9890 or send us an e-mail at info@signs123.net and we will gladly give you a quote for your decorative frosted windows, frosted glass lettering, or custom cut frosted glass logos.